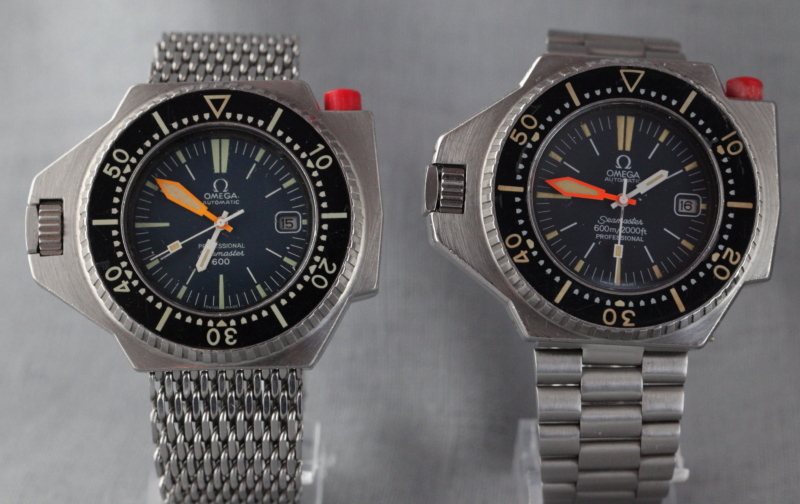 Here is a brief history of the diver's Seamasters from 1957 to 2014. 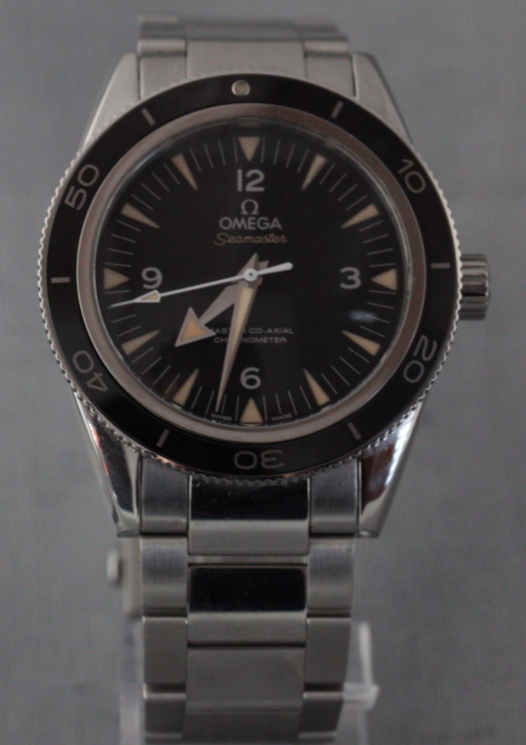 I took in account Seamasters with an automatic movement, a rotating bezel and a size of 39mm and bigger. Note that I do not pretend to know everything on the issue, and many points are unclear. I based my search on a maximum of sources, but it turned out that those that were supposed to be the most reliable are partly wrong (Omega by Richon, Omegamania, ..). 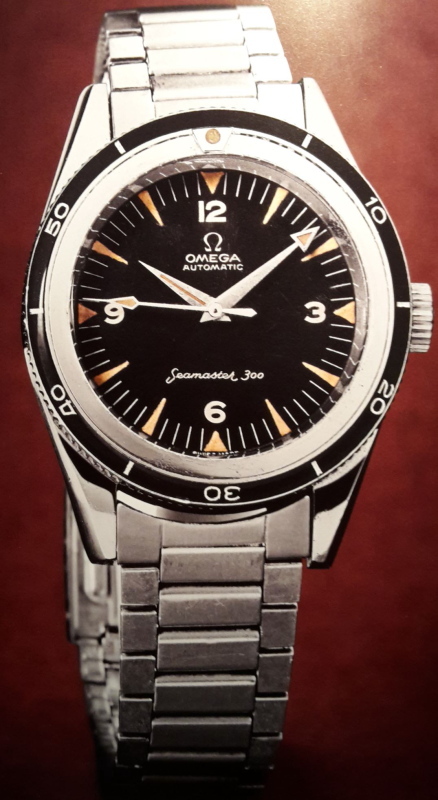 I'd love to buy a "SEAMASTER ONLY" book, but I'm afraid that it will never be possible as the production of Seamasters was much more anarchic and less regular than Speedmasters. 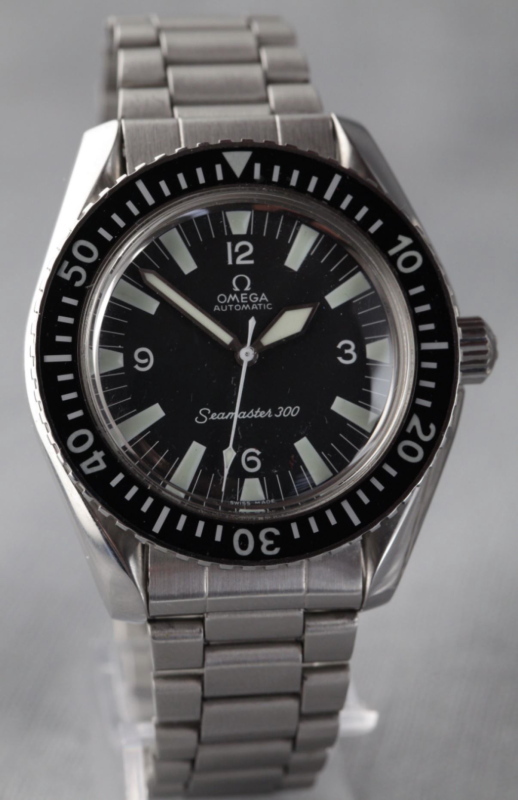 165.024 model with Smeedmaster case (lyre lugs). Baton hands till about 1967, then sword hands. 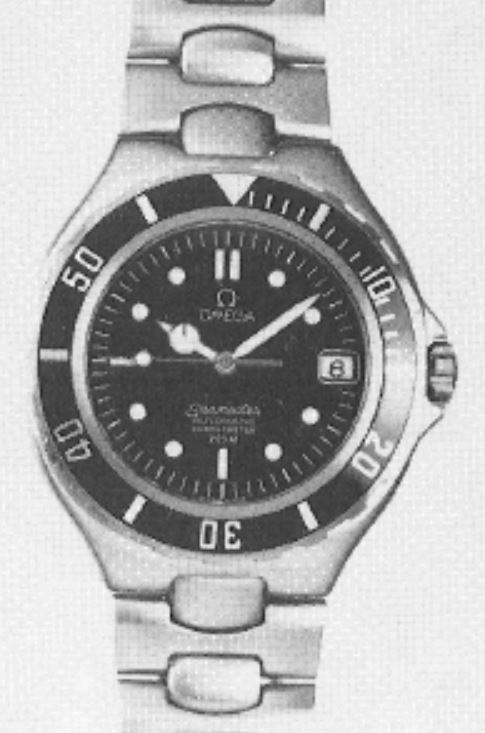 Dial with straight indexes or big triangle (military from 1966-). At least 5 differents bezel inserts. Movements 550 or 552. WR 200m. Bracelet 1039/516, remplacement 1171/633. 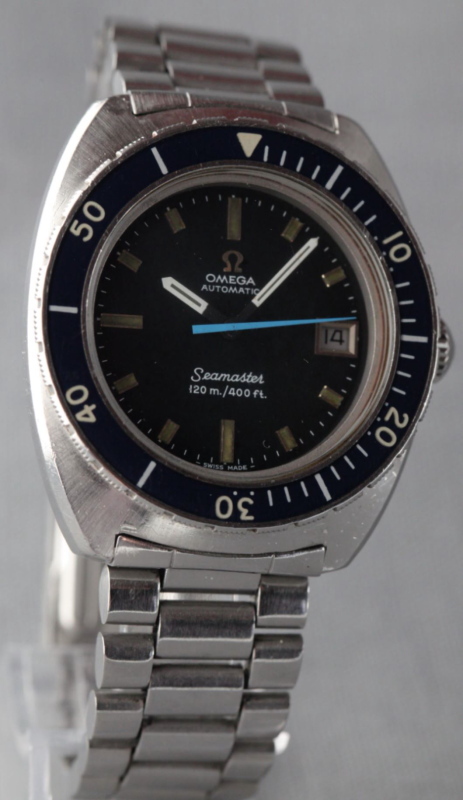 165.0324 "NOS", New Old Stock, I'd rather call it "New New Stock", case, bracelet, dial, hands are factory new. Movement is old stock from my father in law. 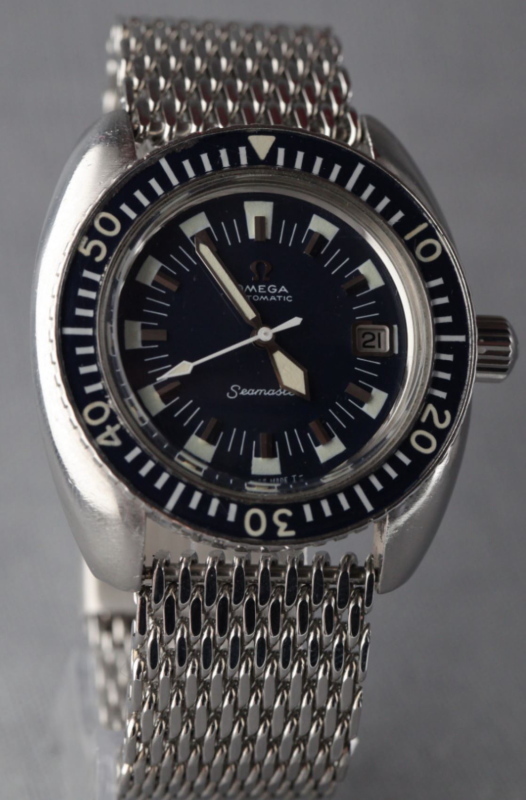 I love this watch as it's wearable on a daily basis like a new watch, unlike a real vintage that might fall apart. Moreover it has a very strong lume and it's a very important point to me. 166.024 model very similar to 165.024, but 565 date movement. 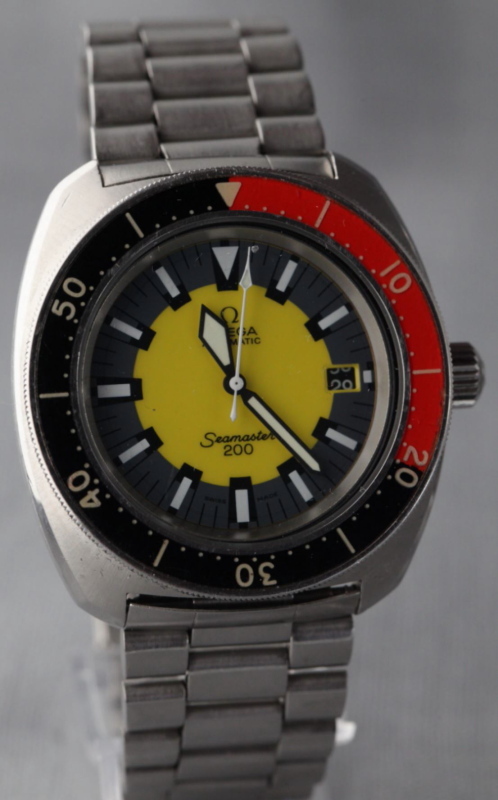 166.068 model, yellow dial aka "banana" ou grey dial aka "poppy". Service dial is all grey. 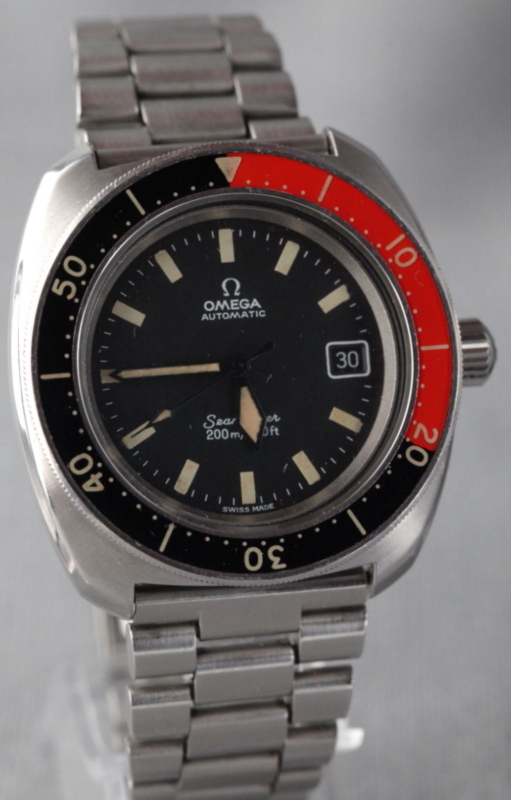 The only seamaster with red/black bezel. Black sword hands. 565 date movement. WR 200m. Bracelet 1171/631. 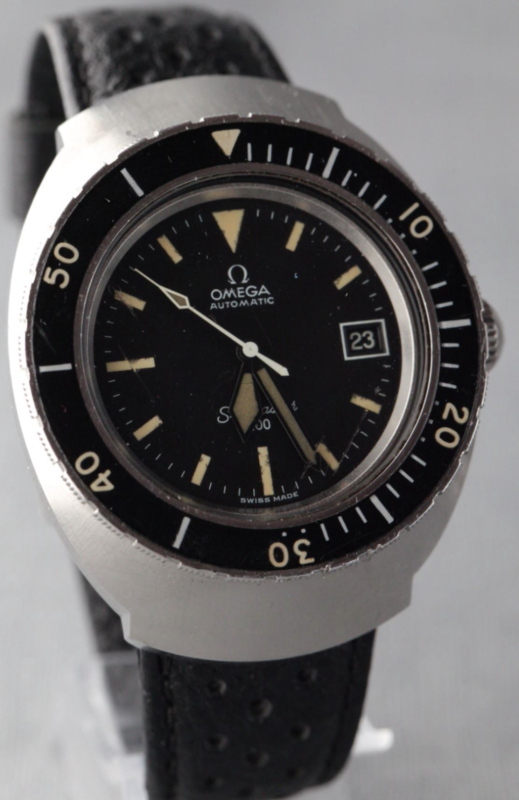 "Banana" sold in 1972, revised, new dial and hands. 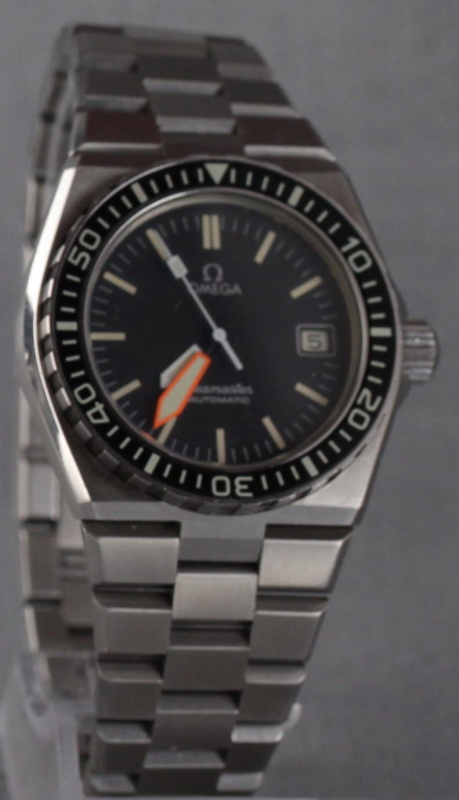 166.0091 model, "Pilot" case, black dial, black sword hands (sometimes with ploprof hands, but shouldn't), 1002 date movement. WR 200m. Bracelet 1162/172 or mesh 1247/237. 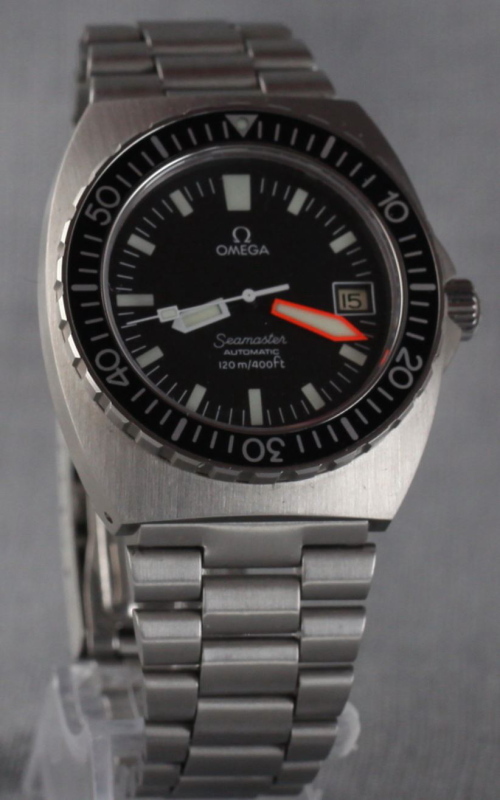 166.0177 model, aka "SHOM", WR 200m, 1012 date movement. Bracelet 1162/172 or mesh 1247/237. 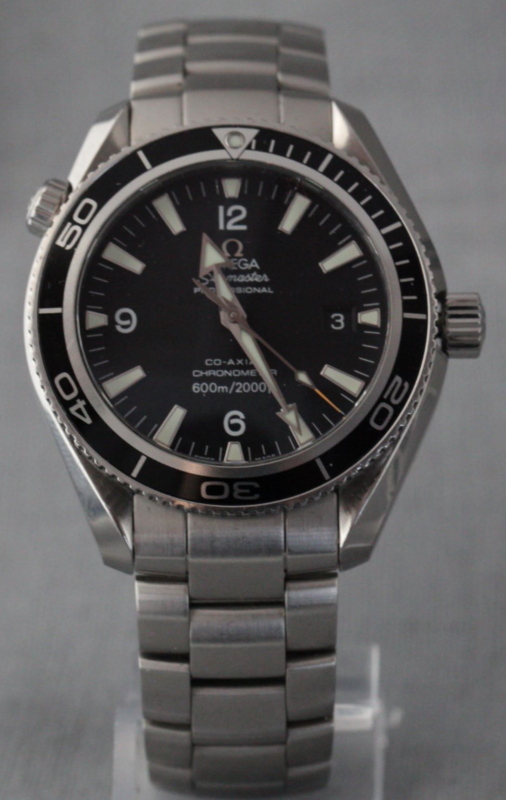 166.073 model aka "deep blue", blue dial and bezel, sword hands. 565 date movement. WR 120m. Bracelet 1170/634, remplacement 1162/172 or mesh 1247/237. 166.088 model. White hour/minute hands, blue second hand. Dark blue bezel. 1002 date movement. WR 120m. Bracelet 1171/650. 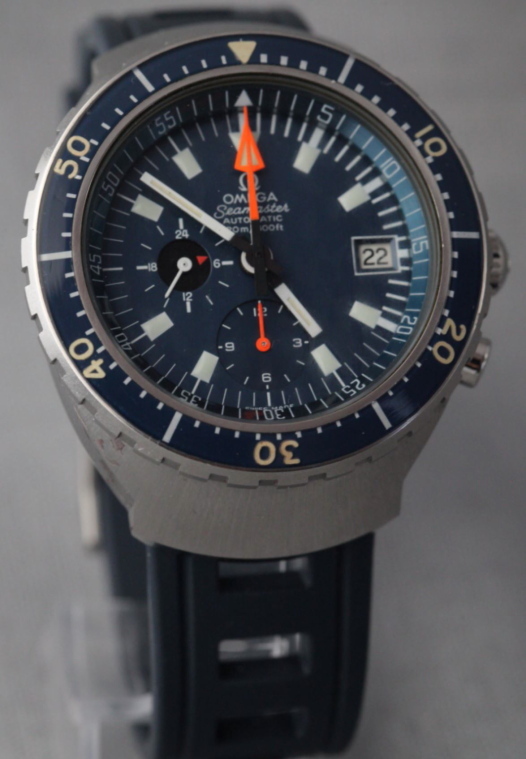 176.004 model, aka "Big Blue", only seamaster chronograph from the '70 with dive bezel. 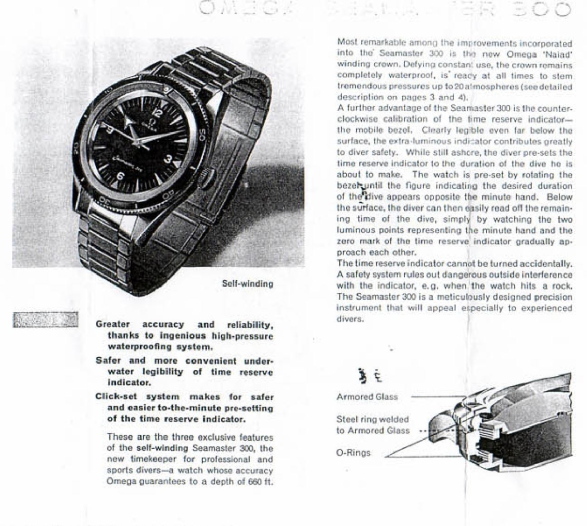 1040 chronograph date movement. WR 120m. Bracelet 1170/653, remplacement 1162/172, mesh 1247/237 or on rubber. 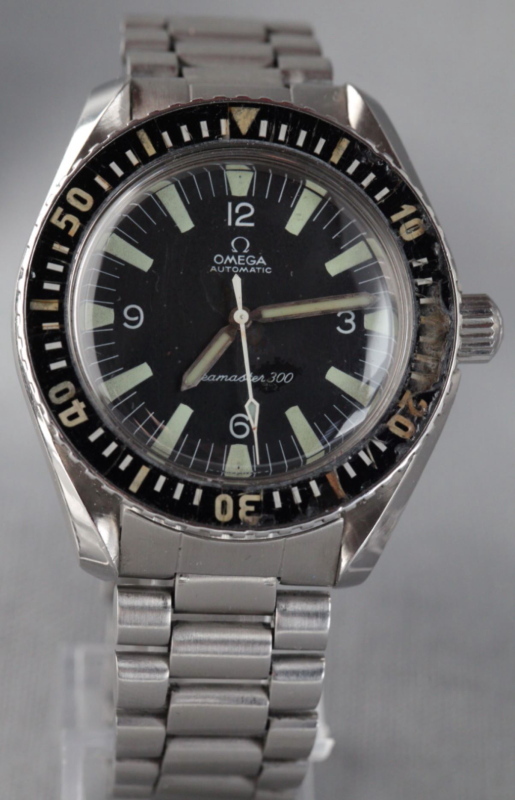 166.0250 model, aka "Baby Ploprof", ploprof hands, WR 120m, 1010 date movement. Bracelet 1162/172 or mesh 1247/237. 166.0077 model aka "PloProf". 3 types of dials. 5 types of bezels. 1002 date movement. 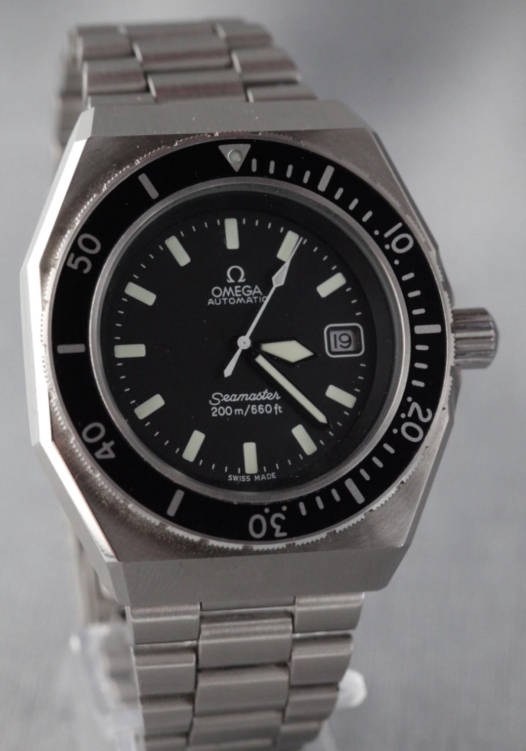 WR 600m. Bracelet 1000/0, remplacement 1162/162, mesh 1266/237 or rubber 24mm. 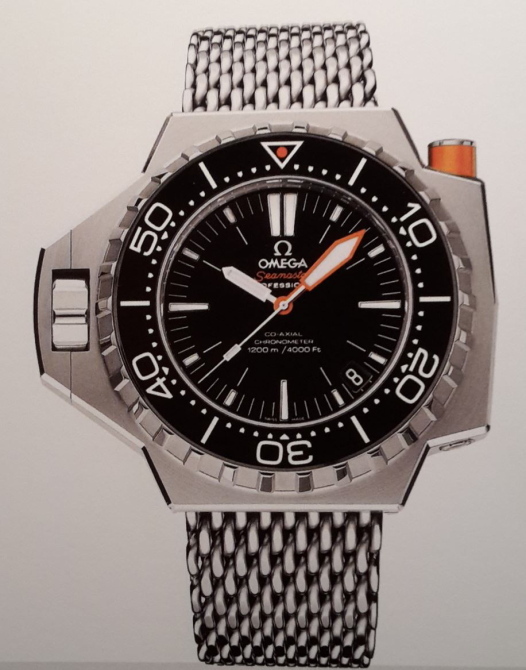 166.0093 model. 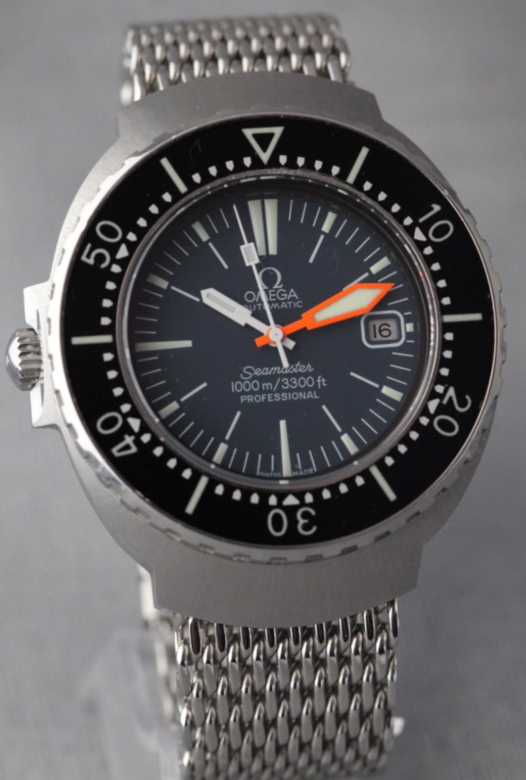 One-body "pilot" case. Crown at 9. Ploprof hands, dark blue dial, black bezel (unidirectional). 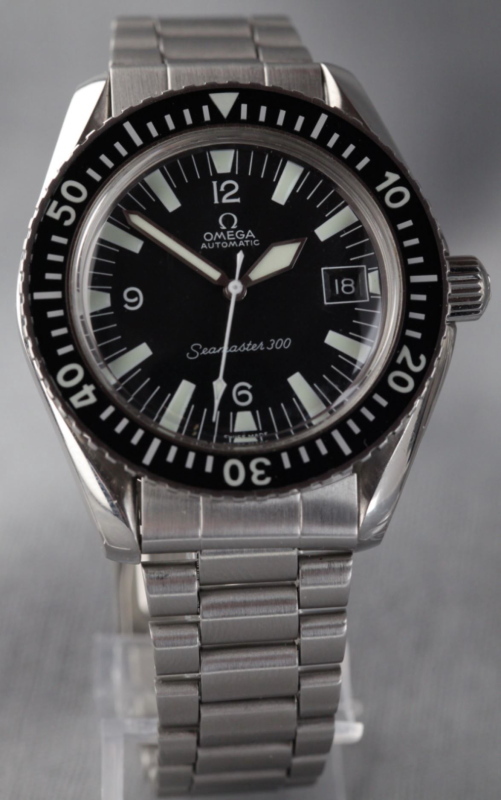 1002 or 1012 date movement. WR 1000m. Mesh 1247/237, remplacement 1162/172 or rubber 22mm. 368.1041, 2800.50 model. Mercedes or baton hands. 1111 date movement. WR 200m. 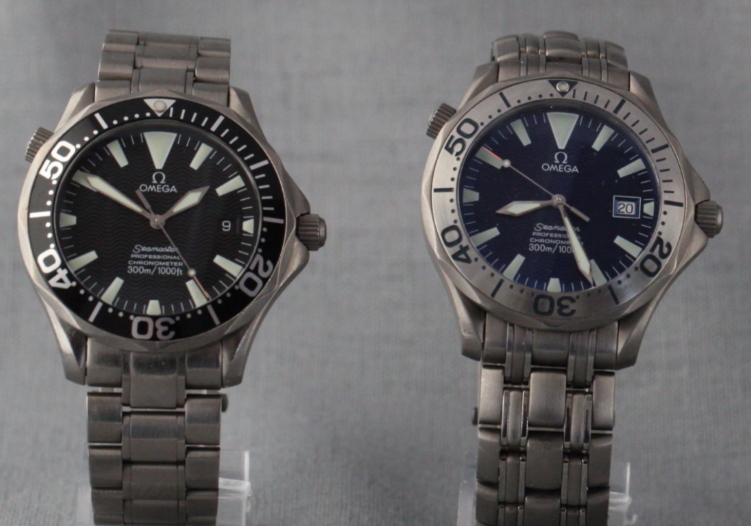 Most models were quartz and smaller size. Many models with all kind of size, colors and movements. On the left: 2531.80 blue, steel, 2007. 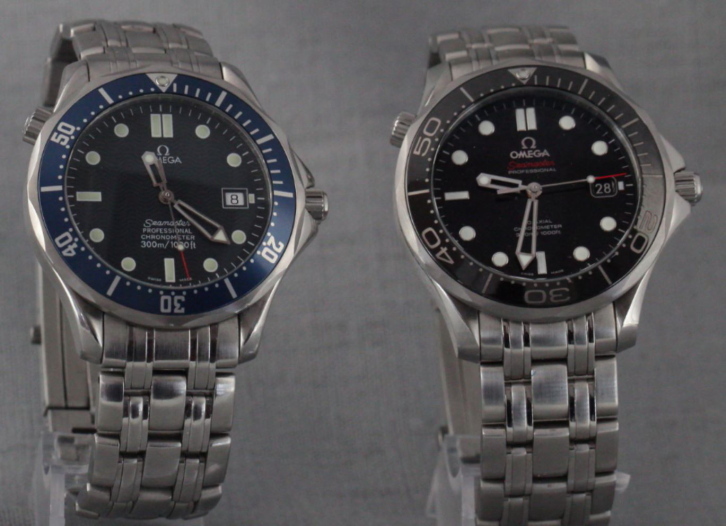 On the right: 212.30.41.2001.003 black, steel, 2011. Last edited by uwsearch; January 4th, 2015 at 19:13.
scamp007, NMGE17, joseph80 and 73 others like this. Wow, thanks for sharing this! Really great! Last edited by twintop; January 4th, 2015 at 15:51.
aardvarkbark and cheffdino like this. OP -- what a thoughtful, thorough catalogue and post! Phil_P and asadtiger like this. Thanks so much for providing this wonderful reference, with such great pics. I can only imagine the time, effort and research you put into it. Nice, thanks for sharing all the info.